What Does The Capacitor In My Furnace Do? The more you know about how your heater functions, the better prepared you’ll be to point the repairman in the right direction when fixing a problem. For example, you might have heard the term “capacitor” in relation to your furnace. But what exactly does the capacitor in your furnace do? 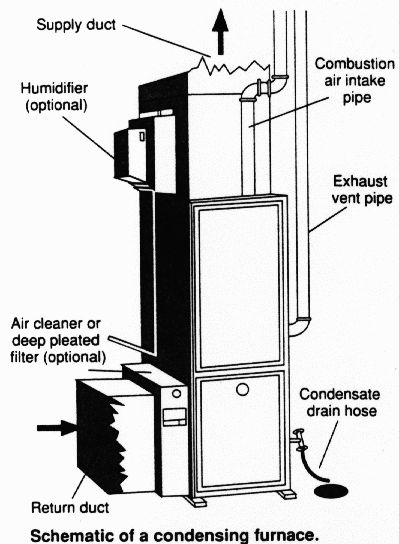 Capacitors are a part of the fan motor in your furnace. They are generally divided into two types, both of which provide electricity to the furnace apparatus at key times. The first kind of capacitor is a start capacitor, which helps the motor start up when you first turn on your heater. There is also a run capacitor: used in furnaces, HVAC systems and AC units of all varieties. They provide a steady supply of electricity to the fan motors (used to help the blowers move hot air through your system). Obviously, both types of capacitor need to be running smoothly in order for your furnace to function. Otherwise, your furnace won’t be able to heat your home. Electrical problems can usually be hunted down and corrected by a trained professional armed with a multimeter or similar piece of equipment. If you need Frederick, MD heating service, call Larry & Sons, Inc. We can examine the capacitors in your furnace, and repair or replace them with speed and professionalism if they encounter a problem. We’re dedicated to your complete satisfaction through every step of the procedure, so don’t hesitate to pick up the phone and call us. Heating problems are no laughing matter. Leave it to the experts to do the job right!